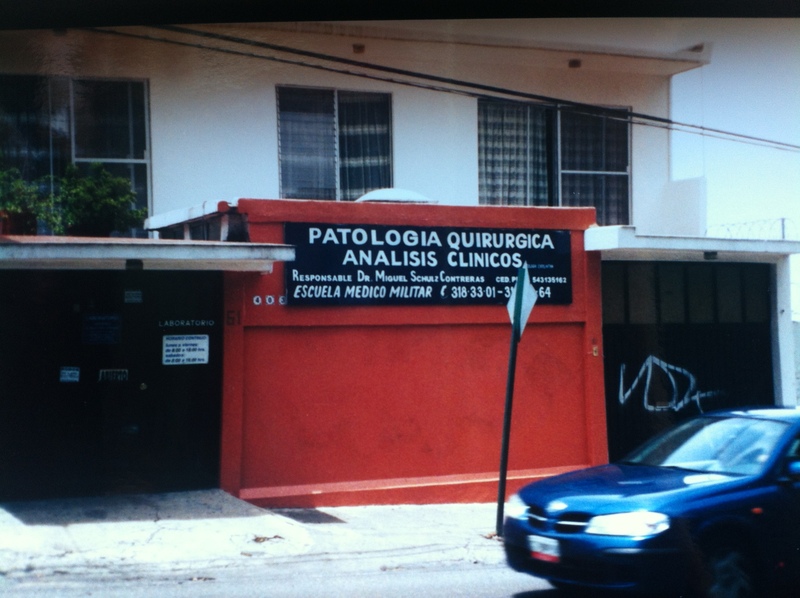 This is the fourth post in a series on studying Spanish in Mexico that starts here. The combi slowed to a roll but didn’t actually stop as we stepped off in front of an office. Mirta led me to the locked gate to the right—the one with graffiti scrawled on it, handed me a key, and showed me how to use it. Now that we were here—now that I had made it from the airport to the hotel, taken a bus to Cuernavaca, seen the school, and successfully managed to keep up with Mirta, my tension drained away and I suddenly “got” a word: llave—key. I felt joy. I could do this! I could get around in a foreign country, meet exciting new people, and learn a foreign language! I only had to memorize about 10,000 more words and learn how to conjugate 500 verbs. 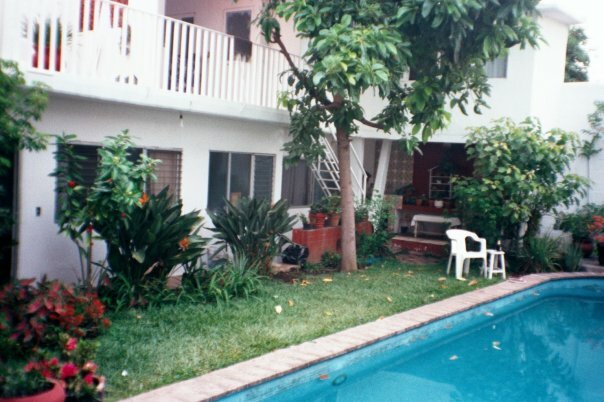 If you live in Los Angeles or Miami, Mirta’s house would be unremarkable. It was a walled compound with a main house, another smaller house, and a garden with a pool. Mirta walked me into the kitchen of the main house, wagging her finger to indicate that the rest of the place was off limits. Darn, I wouldn’t be able to relax on that plastic-covered couch under the oil painting of The Last Supper I caught a glimpse of from the kitchen. She also made clear that the fridge was off limits. She demonstrated how to use the five-gallon water bottle which was to be my only source of water. She laid down the times for breakfast, lunch, and dinner. It was amazing how much she could communicate with charades-like gestures. A young woman entered with a toddler. I assumed this was Mirta’s daughter and grandson until she picked up a mop and started swabbing the floor. From what I could gather, her name was Ella. I followed Mirta like a duckling to the smaller house where I would spend the week. Everything was covered in green tile except the ceiling. 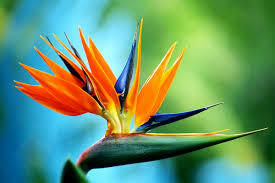 It would have felt like an asylum except that the window looked out on the garden full of Birds of Paradise. Those are run-of-the-mill in Mexico—like daisies in Minnesota—but to me they were spectacular and I would later amuse Mirta by taking endless photos of them. Mirta pointed to the bare bulb in the middle of the sitting room ceiling and made clear that I was not to waste electricity. She oriented me to the bathroom, showing me eight fingers to indicate how many minutes of hot water were available to shower each day. There was a drain in the floor with a plate over it and a brick on top of the plate. Do not remove, I was warned, with some scary faces. In Minnesota, we get rats coming up from the river through the sewers into people’s basement toilets. I wondered if that was the foe here, or something else? Mirta opened the bedroom door to reveal two twin beds. A young woman was hunched over on one of them, holding a blow dryer and looking dejected. “Hi, I’m Zoe,” she said, in a North American accent. I had known I would share my quarters with another student, and this was her. Mirta showcased the one-drawer night stand next to my bed, then exited with a reminder about meal times. I was afraid Zoe was destined to be an example of a Yerkes-Dodson Law fail. This entry was posted in Adventure, Budget travel, class divide, Culture shock, Travel and tagged boundaries, class divide, Mexico, Spanish Immersion, travel on March 3, 2016 by Breaking Free.